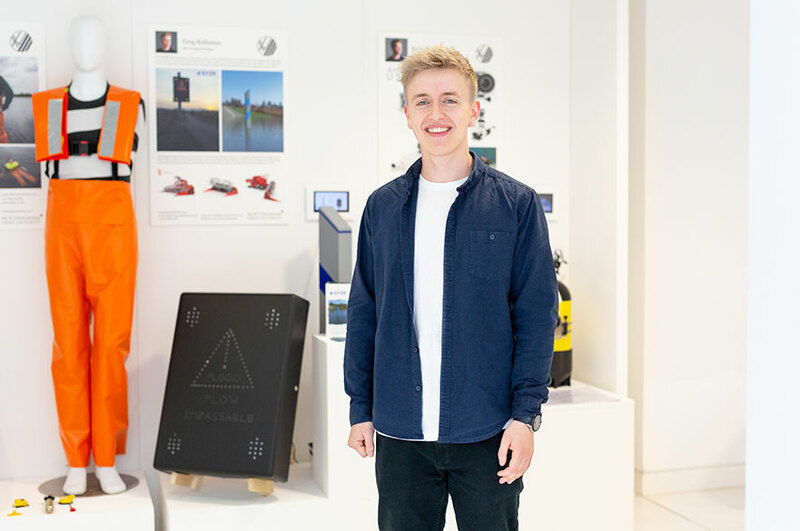 Our BSc (Hons) Product Design course concentrates on the underlying technology of product design, with projects that combine both form and function. The course concentrates on the design of products for manufacturing, digital, industrial, electronics and medical applications, placing technology and scientific advancement at the core of the design process. You'll develop your knowledge of materials, and explore new and emerging technologies, including mechanics and electronics. Through commercial projects with industry you’ll reflect, model, test, modify, develop and improve your ideas. You'll benefit from excellent employability prospects. 100% of our BSc (Hons) Product Design sandwich students are in graduate level employment within six months of finishing their studies, earning an average graduate salary of £25,800 (DLHE, 2016-17). 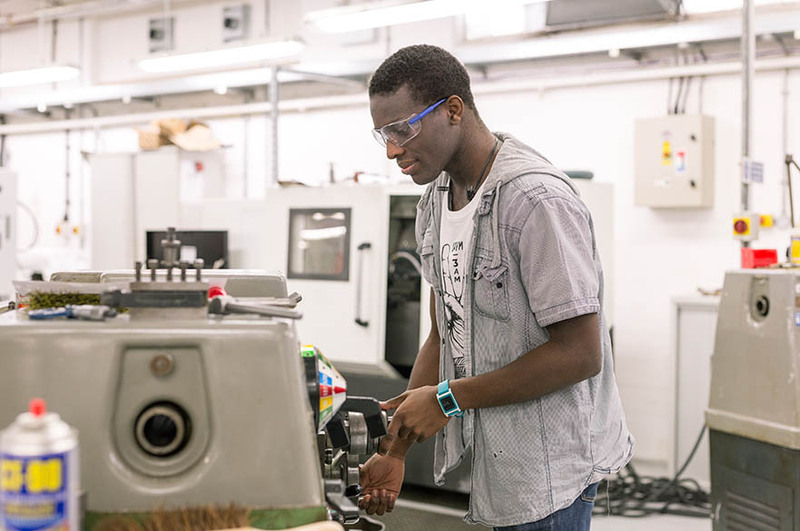 Learn how to use a range of design tools and techniques in our state-of-the-art laboratories and industry-standard workshop spaces, including 3D printers, design and test laboratories, electronics workshops and CAD design suites. 92% of our BSc (Hons) Product Design Sandwich students are satisfied with their student experience (National Student Survey, 2018). 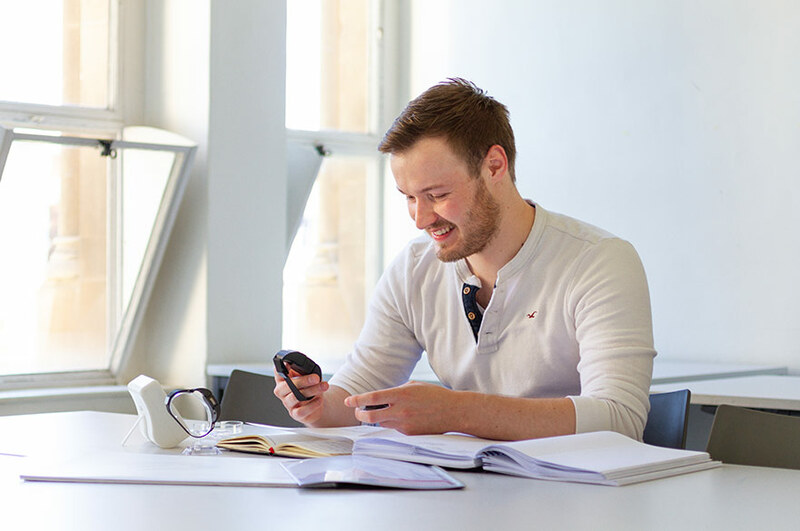 Our course is accredited by the Institution of Engineering Designers (IED), recognising the quality and relevancy of our course content and enabling you to become members of the IED throughout the duration of your studies. Explore local and international design, with inspiring trips in the UK and abroad included in your course fees. Previously students have travelled to Berlin and Prague as part of their studies. Take part in live design projects with briefs from real clients. Previous clients have included SAPA, McGee and PepsiCo. Add to your CV and challenge yourself by taking part in competitions such as the Engineers Without Borders Challenge, producing innovative and exciting designs to complex briefs. 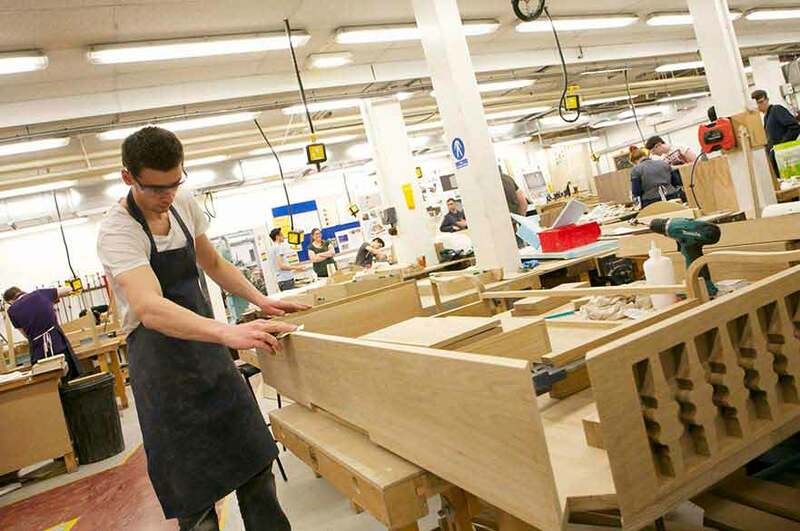 How does the course differ from our BA (Hons) Product Design and BA (Hons) Furniture and Product Design courses? 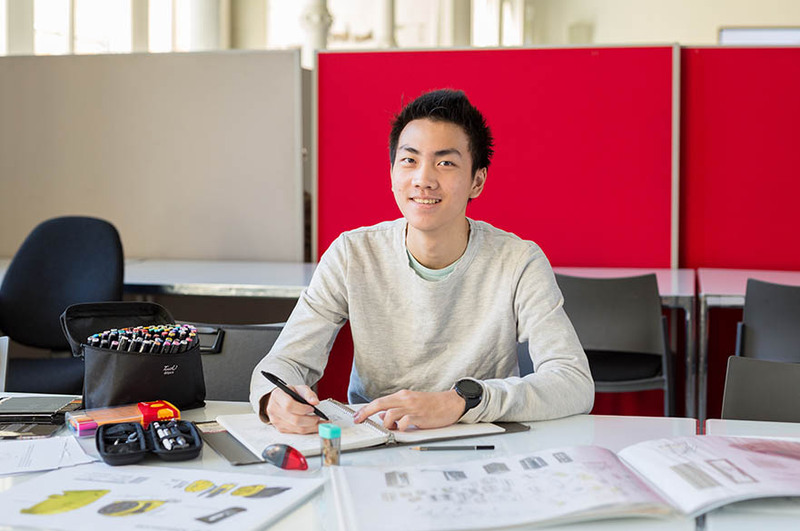 Our BA (Hons) Product Design course concentrates on the design of products, systems and services including consumer goods, electronic gadgets, sustainable products, sports and healthcare equipment, packaging, and transportation. Through a range of diverse and stimulating projects, you'll explore many aspects of product design, from the understanding of user needs to materials selection. You'll develop key communication skills, using a range of media and methods from drawing, to model making and building. 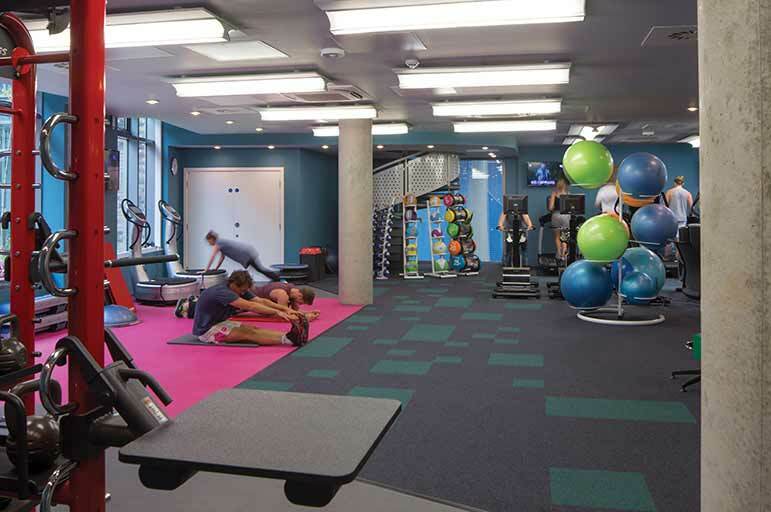 You'll broaden your project portfolio by undertaking a range of design projects individually and as part of a team. The design activities will develop your understanding of how to frame appropriate solutions through a variety of different processes and approaches. You'll consider the key factors related to technology-focused product design, including materials selection and manufacturing aspects integral to, and for, designers. You'll examine aspects related to design for the future to widen your understanding of contemporary issues that influence culture and society and their relationship with design. This module will focus specifically on technology and its application in design, contextualising product design under technical perspectives. You'll be introduced to the basic principles and applications of technology and understand how they affect the development of products and systems. You'll expand you understanding of machinery relative to resistant materials and production, electronics, electrical systems, and pneumatics. You'll work on a range of different live briefs from industry, and competition work, focusing on user needs and characteristics, the market, product manufacturing, and commercial awareness. You'll develop and utilise advanced communication techniques to produce sketches, renderings, models, test rigs, prototypes, simulations, and virtual solutions for real industry scenarios. This module will build on the knowledge, skills and attributes learnt in the first year of your studies, and develops them to give you confidence to progress as a product designer within the industrial and commercial parameters associated with the profession. You'll work on design briefs related to global perspectives and sustainability, some from industry clients, to real time deadlines. You'll be expected to realise the full format of a designer's outputs, including technical reports, technical drawings, CAD work, sketches, renderings, models, test rigs, prototypes, and simulations, to an industrial and commercially accepted standard. You'll learn about the importance of designing for manufacture and how process choice can enhance product properties. You'll develop your knowledge from Year One to realise commercial, economic, social, and aesthetic elements of design. Your work will be underpinned by a knowledge of theoretical and practical insights, including electrical and electronic systems, mechanical systems, robotics, and programming. These will be considered alongside cost implications. Recent placement destinations have included Triumph Motorcycles, Aevena (USA), Demand, and Bentley Motors Ltd, with more students working in roles such as design intern, design engineer, product design intern, industrial designer, and many more. 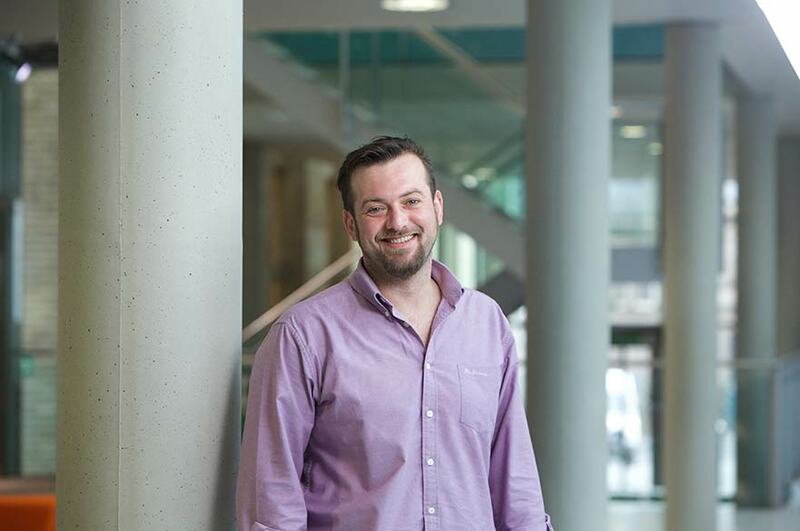 The majority of their roles include salaries, with some students earning up to £20,000 for their year. Our course is accredited by the Institute of Engineering Designers (IED), recognising the quality and relevance of our course content. Based on 40-hour weeks during term time, approximately 18 hours per week is spent in scheduled learning. Course content is delivered through lectures, seminars, tutorials, laboratory sessions and workshops. This course is supported by external professional practitioners, ensuring that your learning is continuously enhanced through exposure to real-world perspective. During your second year you'll go on a week-long European study trip, the cost of which is included in your course fees, enabling you to explore international design approaches. This year students have travelled to Prague as part of the course; previous trips have been to Amsterdam and Berlin. Our course is designed to prepare you to succeed in the design industry, through work placements, working on real projects from industry, input from industry professionals, and regularly updated course content. 100% of our BSc (Hons) Product Design sandwich students are in graduate level employment within six months of finishing their studies, earning an average graduate salary of £25,800 (DLHE, 2016-17). 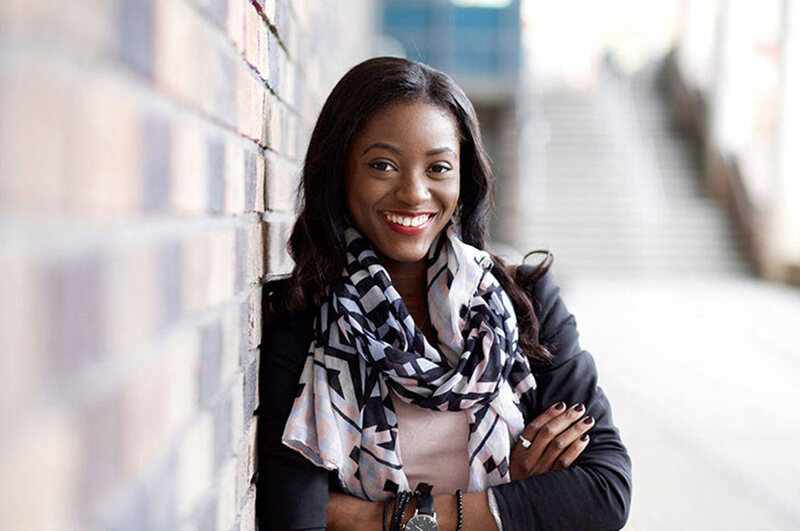 Recent graduate destinations include Dyson, Triumph, TATA, Cummins Ltd, Jaguar Land Rover, Solid Solutions, AECOM, Brett Martin, Harkess-Ord and Accuride. Our expert Employability team will work closely with you at every stage of your career planning, providing personal support and advice. You can benefit from this service at any time during your studies and up to three years after completing your course. Find out more about the service. NTU is ranked first in the UK for the number of year-long placement undergraduates studying design-related courses (HESA 2016-17). By choosing our sandwich (4 year) route, you’ll have the opportunity to take a year-long work placement during your studies, giving you the opportunity to gain real experience in industry. The majority of our placement students receive a salary. 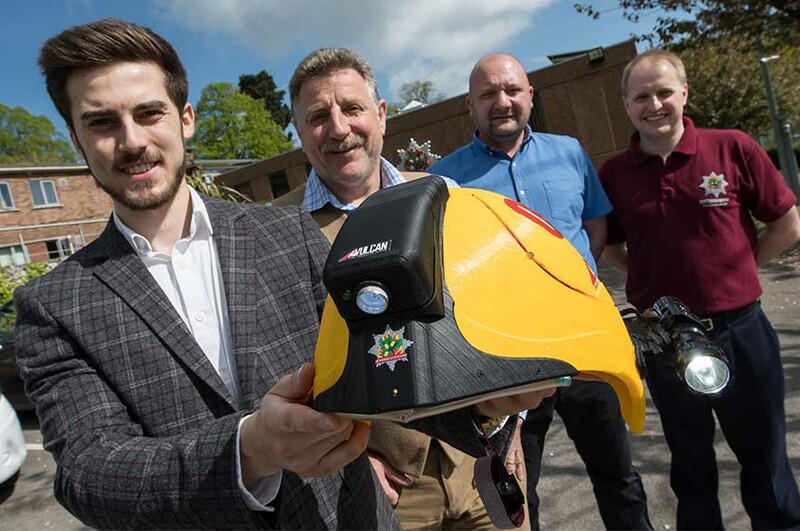 As well as working on briefs as part of the course, our students have won national competitions with Starpack, the Engineers Without Borders Challenge, and Innovation in Plastics. 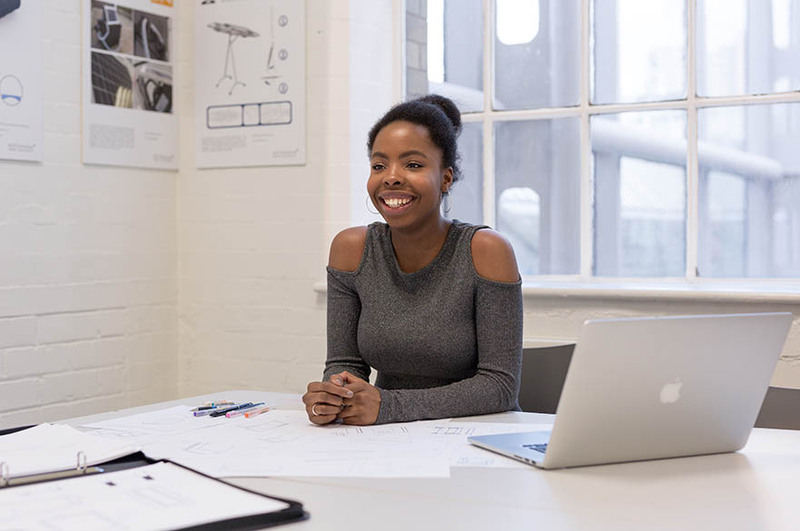 Students typically gain placements in product design companies across the UK and abroad. Recent destinations have included Solid Solutions, HJC Design, Nestlé, Bosch, Games Workshop, Tesco and Vauxhall. There are a wide variety of placement roles available within the industry and the majority of our students have worked as designers or in design engineering roles. 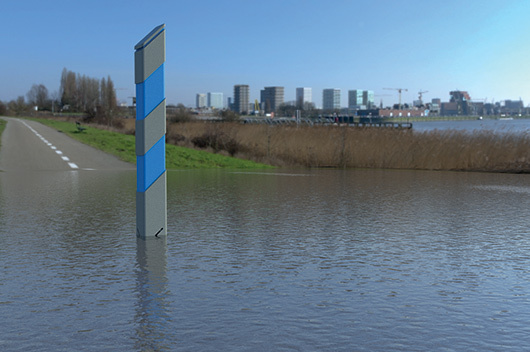 GYZR flood awareness system - work by Greg Rolleston. With an aim to improve driver behaviour in wet conditions, the GYZR flood awareness system monitors flooded roads and their condition in real time. 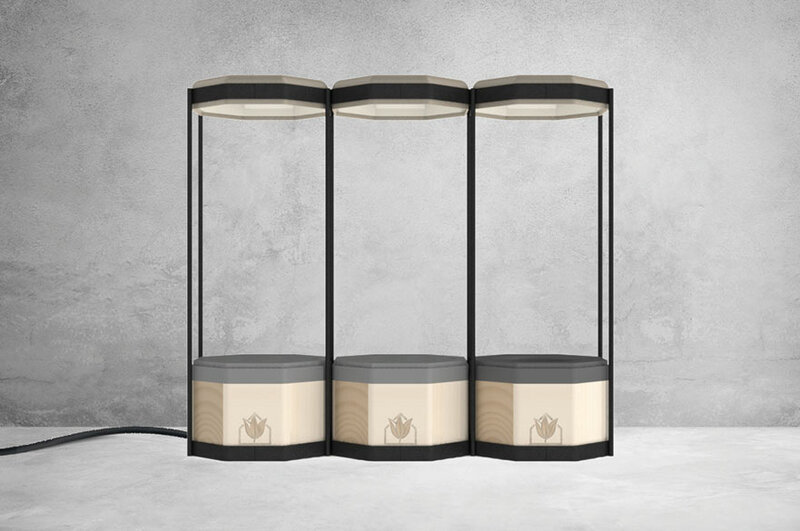 The Stopple watch home system - work by Matthew Russell-Smith. 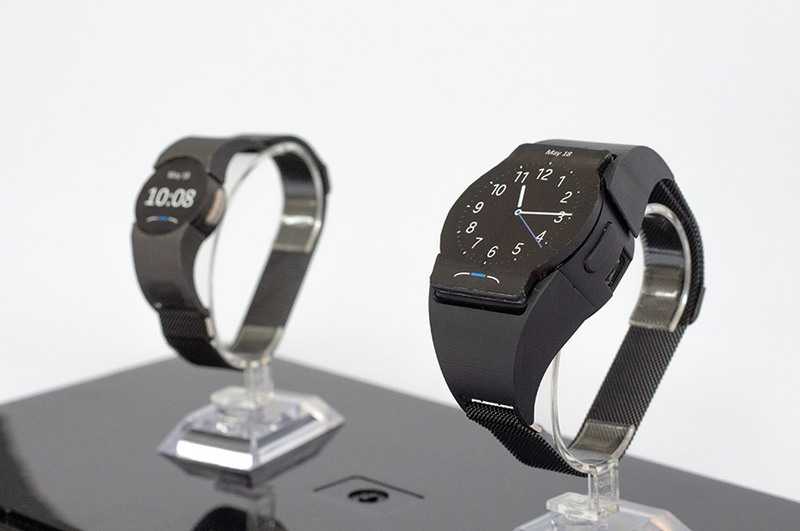 Consisting of a home hub and watch utilising new fall detection technology, the Stopple watch home system can automatically sense if a fall has occurred and call for needed assistance without any user interaction. Pod-Garden - work by Kitty Frost. A modular growing unit designed to be used as an indoor garden in a household environment. Osto-me - work by Annabel Burton. The first ostomy bag designed to expand with output. 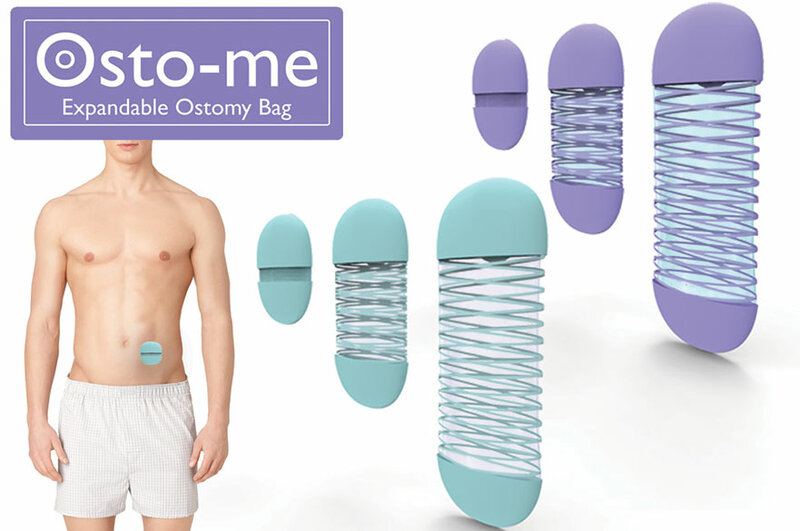 Featuring a drainable inner bag, Osto-me is reusable and removes the need to wear excessively large medical products. 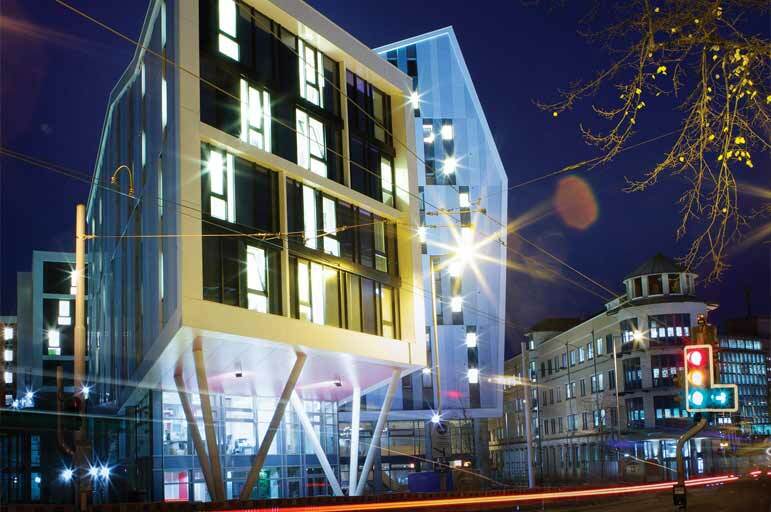 At the University's City Campus, you'll have full access to our range of industry-standard facilities based in our Arkwright and Maudslay buildings. You'll be supported by a team of expert technical staff who will teach you to maximise the use of our resources, and facilitate your development as a designer. Rapid prototyping modellers: these machines quickly create a 3D object from a virtual computer model using a highly advanced laser process. Waterjet cutter: the latest generation precision technology capable of cutting up to 150mm in almost any sold material such as glass, steel, granite, marble, aluminium and rubber. You will have access to a CNC (computer-numerical control) router and a brand new laser cutter. You will have timetabled access to the workshops and labs in Year One, and project-specific access in Years Two and your final year. There is also access to studio spaces, which can be booked on a daily basis. Some machinery will be available outside timetabled hours. Timetabled students have priority, but other students can access the workshop at any time, provided there is space available. The Maudslay workshops are open Monday to Friday, from 9 am to 4.45 pm. Please note the workshops are closed on Wednesday afternoons. The workshops are normally closed for lunch from 12.30 pm to 1.30 pm. However, during busy periods the workshops do not close for lunch. 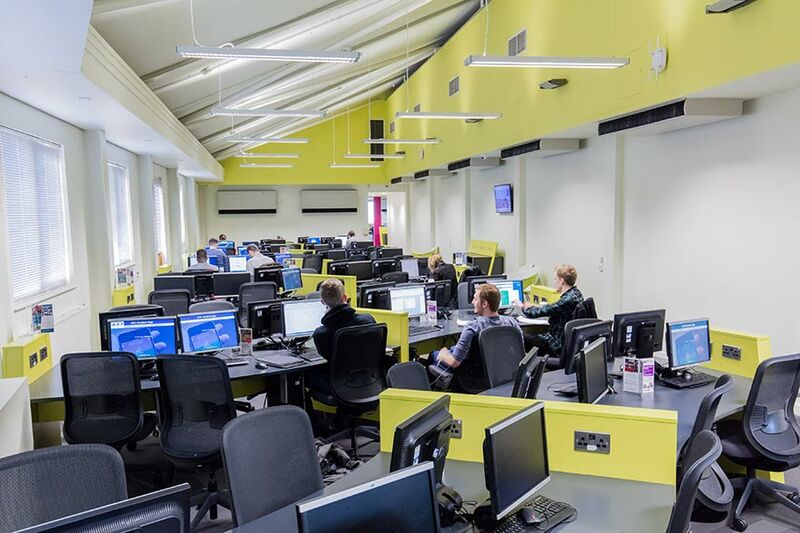 Our IT resource rooms and PC clusters are distributed across the City Campus, with PCs providing access to Microsoft Office, email, web browsing, networked file storage and high-speed online printing services (with a free printing allowance for each student). Resource rooms are available 24 hours a day. In the library, you will have access to an extensive and diverse range of books and periodicals that focus on specialist areas within Product Design. The library's OneSearch system provides access to all our electronic resources, journals and books. 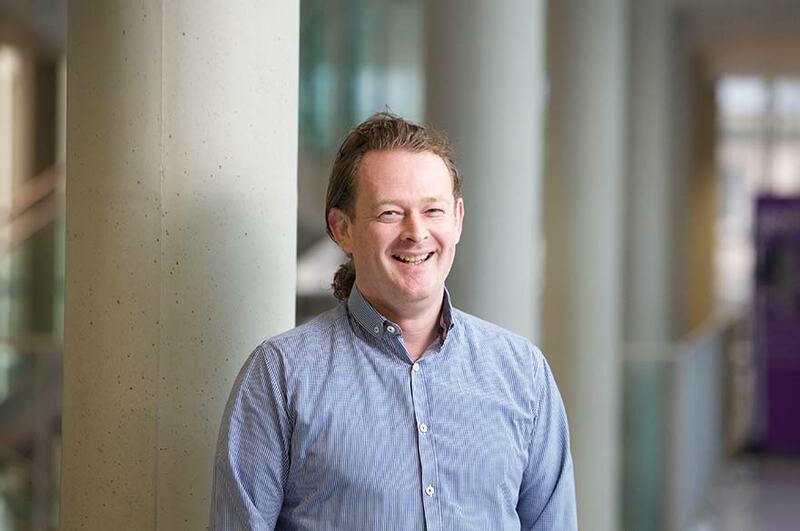 Within the library there is a liaison librarian who has specialist product design subject knowledge. They can offer detailed help in finding and using print and electronic resources, and also support on things such as Harvard referencing and research skills.